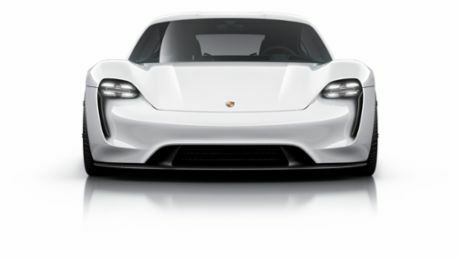 Porsche is set to appear at the 30th Electric Vehicle Symposium – and was also at the kick-off event for this international conference in electromobility. In 2017, Stuttgart will host the oldest and biggest industry event in the world – the “International Electric Vehicle Symposium & Exhibition” (EVS) – for the first time. From October 9 to 11, more than 5,000 experts from around the world will meet at the Messe Stuttgart exhibition site to discuss and learn more about the latest technologies, developments and trends in electromobility. The venues for the EVS – which will be held for the 30th time since it was launched in 1969 – rotate between North America, Europe and Asia every year. The automotive hub of Stuttgart is this year’s location, which means that Porsche will be sponsoring this key event along with Daimler, Bosch, Mahle and EnBW. As a kick-off and preview event for “EVS30”, representatives from these five companies recently appeared at a press conference at the Messe Stuttgart exhibition site, where they explained the challenges and solution strategies in the field of electromobility. Porsche was represented by Otmar Bitsche, Director Electronic/Electronic Engineering, who emphasised the crucial importance of an extensive fast charging infrastructure and explained the Porsche concept of “80% charge in 15 minutes”. “We are building the first purely electric sports car, which drives quickly and charges quickly”, said Bitsche, summarising the Mission E project. Alongside the issues of charging infrastructure, power supplies, and battery and cell technology, the panel discussion focused on new products, their level of acceptance and the possibility of market penetration. The technological change being driven by electromobility demands new concepts and solutions in many different areas. That’s why the exhibition and symposium in October will have four key topics on its agenda: production concepts, regional mobility concepts, mobility solutions and mass market penetration – including issues such as digitalisation, industry and labour market development, charging infrastructure, and information and communication systems. Some 250 experts will hold talks on the latest developments in battery research, and will also discuss integrated production solutions, intelligent charging infrastructures and networked mobility concepts. 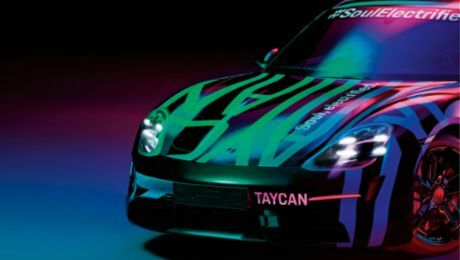 Porsche will be represented through a series of talks. The EVS is traditionally hosted by the World Electric Vehicle Association (WEVA) and the European Association for Electromobility (AVERE). In 2017, the conference will also be supported by Messe Stuttgart, e-mobil BW, the German Solar Mobility Association (Bundesverband Solare Mobilität), the Stuttgart Region Economic Development Corporation (Wirtschaftsförderung Region Stuttgart) and Baden-Württemberg International GmbH.